Tuludo [Online Game Creator] - Create games without coding! TIGSource Forums Community DevLogs Tuludo [Online Game Creator] - Create games without coding! 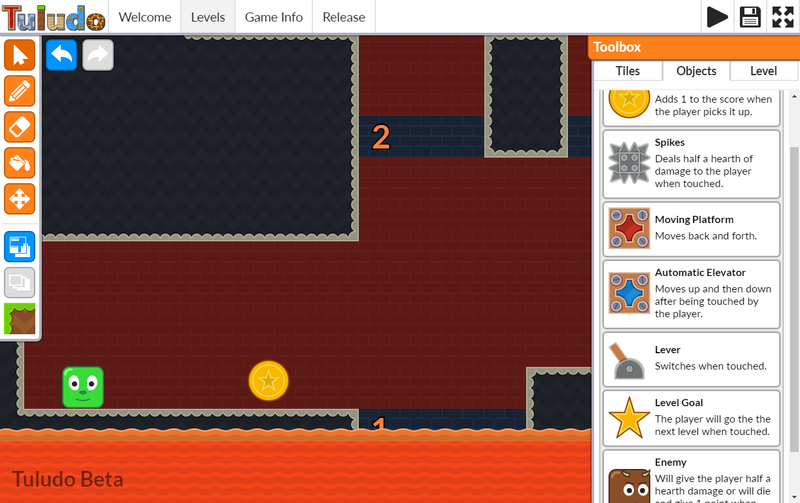 Tuludo is an online game creator that doesn't require coding. Our goal is to give young people a place to create games for fun. 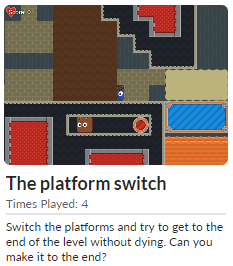 Creating games is as easy as Mario Maker but unlimited in terms of possibilities. Creating games is fun, but it can be hard to get started. Especially for younger people. Level editors like Super Mario Maker are great but are still very limited. More advanced tools like Scratch allow people to do a lot more, but can be quite hard for people who don't feel like learning how to program. That's why we are building a website, available on any device to everyone, where people can build their own games without limiting creativity. Our focus isn't to teach people how to program, there're already plenty of websites out there doing that just fine. 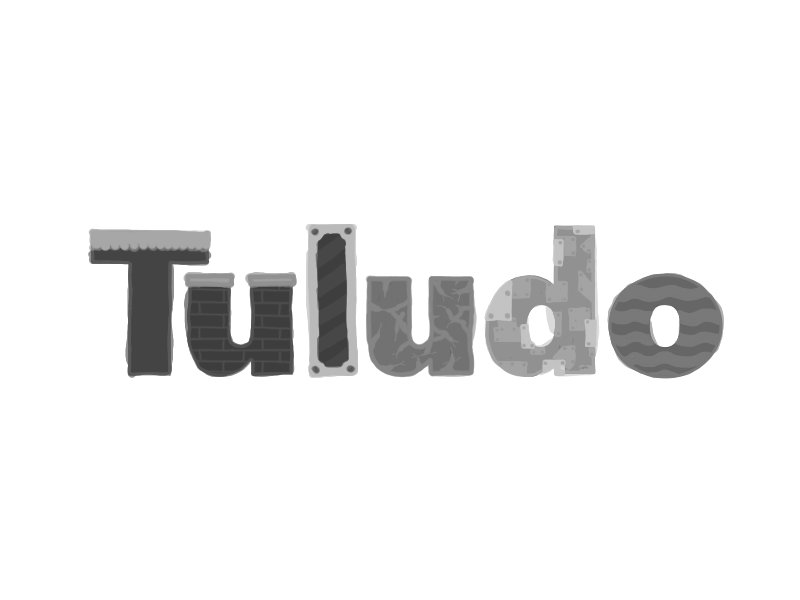 We're building a place for people to have fun by creating games and playing games made by others, and it is called: Tuludo. Tuludo is an online game creator and a platform for sharing games made by users. 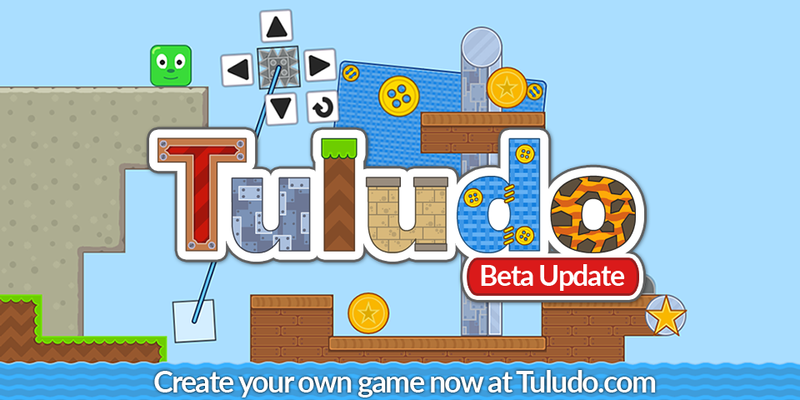 With Tuludo people can build games consisting of multiple levels. 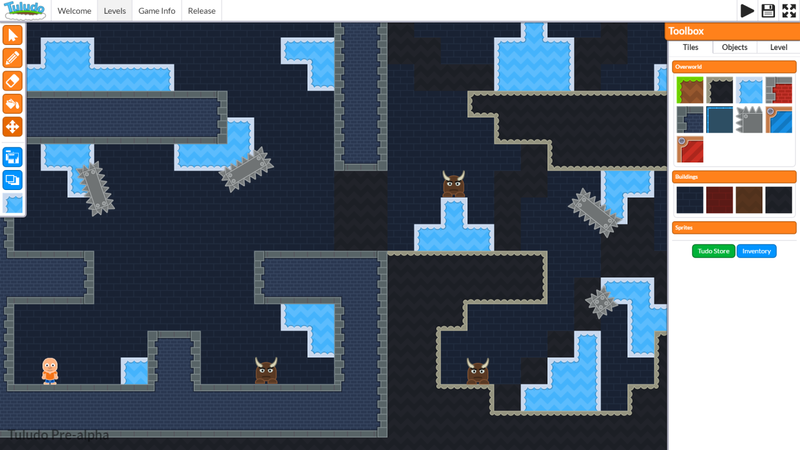 The basic level layout can simply be drawn using the many available tilesets and textures. 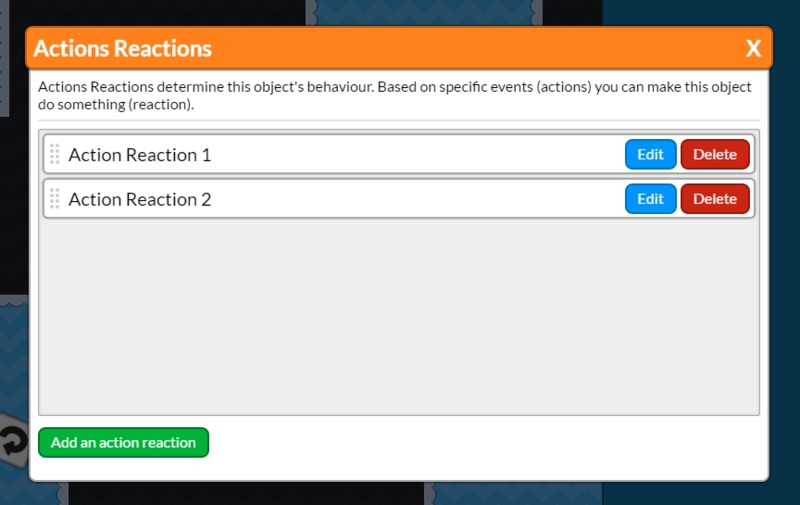 Using a very simple to use action reaction system user can add their own logic to the game. Besides that users can just drag and drop premade objects into their game if they don't feel like using the action reaction system to create, for example, an enemy. Release your games to the public and see other creators/players play your games. Play games made by others. Not focused around learning to program, meaning that everyone can start creating without limitations. Tuludo has been in development for about one and a half year now. We have succesfully reached our minimal viable product and we're really excited to finally have a community on our website. You can sign up for the newsletter (Tuludo.com), or follow us on social media (See the links at the bottom) to keep up-to-date with the development of Tuludo. Re: Tuludo - The online game creator without limitations! It's still all very early footage but I hope it gives a better view on what Tuludo is. I love how clean and simple the UI looks, but the GIFs shows that in fact it´s a very powerful tool with many options. How many people are working on this? Thanks, that's awesome to hear! We're a team of three programmers at the moment. We are kinda looking for an artist though so I'll be going to a local event Wednesday to see if there's an artist out there that wants to join our team. I'm currently doing most of the art but I prefer to focus on programming since creating the assets take a very long time for me to do. Hopefully we can speed up the development a lot once we have an artist. This is a wonderful concept and having recently begun assisting kids as they learn to code this kind of space is sorely lacking outside of Scratch. If you plan to allow scripting through text rather than blocks unlike Scratch then I think Tuludo will become a vital tool in teaching people to code. Do you plan to allow the creation or upload of graphics or will creators be limited to your graphics earned using Tudos? Thank you for sharing and look forward to the next update! At the moment our idea is that Tuludo may be the first step towards programming. At the moments there're no plans to include a code in the form of blocks or text. However, the action reaction system does require some logical thinking and problem solving. The step from Tuludo's action reaction system to actual scripting should be a lot easier and users will recognize a lot from the action reaction system that they can apply to actual scripting. The reason that we don't have plans for any programming is because we want Tuludo to be accessible for everyone. Not making it a learning tool for future programmers but rather a tool to teach about all aspects of game development. But, we may in the end go for a programming system nonetheless as it would be the easiest way to show that Tuludo can be used for educational purposes aswell. But for now we don't want it to be an educational tool, but rather something everyone can enjoy and have fun with. There're no plans for custom graphics at the moment. Considering our target audience we don't think it will add to the quality of the website. I'm personally a little scared that we get Mario-Castlevania-frankenstein games with graphics that nobody has the right to to use. Instead we'd like to keep on expanding the available tilesets, textures and sprite so that we kinda stay in control of the art style. We do have thoughts about allowing users to send in their custom graphics and let us and/or the users decide whether it will be added to the library of assets. So yeah, Tuludo is not quite without limits, but I prefer Tuludo to be a quality website. I personally think that that will in the end do a lot more good then opening everything up completely. I hope that answers the questions. Feel free to let us know what you think! Thank you for your detailed reply! I think that is a good decision and reminds me a lot of little big planet. As soon as that comparison came to mind I started imagining how fun collaborative level creation would be! Look forward to the next update. This week I've been working on the action reaction system. This will be the logic system that allows users to set the behavior and logic behind objects in their games. You can find out how it works exactly in our devlog over on Tumblr. Our devlog on Tumblr will be the major devlog however we would love to give a closer, more technical gamedevvy look here on TIGSource. As we've mentioned before we don't want Tuludo to be one of these programming teaching applications. Instead we've developed a logic system called the action reaction system which allows users of any age to create logic without the need to learn the concepts of programming. However, knowledge of the action reaction system should lower the bar to programming significantly. But our main idea is still that we don't just want technical people to be able to create games on Tuludo, everyone should be able to do it and we hope that we can achieve this goal using the action reaction system. Anyways, I've been working all week on the action reaction system and I'd like to just take a moment and say how extremely frustrating GUIs can be. No matter what libraries you use it will always be a chore. While I was playing Twister with HLTML, CSS, Jquery and Mustache.js, Stefan (Klokklok), the other programmer spend some time on the backend to make sure that we can save and load our games from the database. We've chosen to store the levels separately to lower the data usage of mobile users and to take some load of of the server. 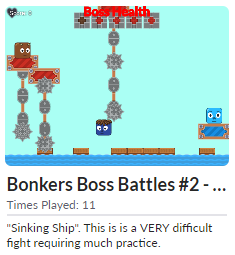 Levels will now only be downloaded once they're actually needed which should also improve the performance of games with a huge amount of levels. In preparation of saving games I also started working on the serialization of games. Aside from saving and loading games this should finally allow me to implement the copy features of several components like levels and objects. That's it for this update, make sure to follow us on Twitter and Facebook. We'd also like to let you know that we have a newsletter over on our website, early subscribers will get some extras for when the website is launched so make sure to subscribe! Re: Tuludo [Game Creator] - Bringing the magic of game development to everyone! This week I'll keep it short since we were quite busy with all sorts of things and thus haven't been able to do a lot. This week I've mainly been working on some small improvement that highly increase the user experience. You'd think that things like shortcuts are feature you add all the way at the end. But it turns out these features can be extremely useful for developers as well! Who would have thought! We really discovered the importance of small improvements, they don't add anything visible. But make the game so much more enjoyable. So if you're working on a game where this is the case, just add those features! You'll benefit from it a lot! We also started thinking about a different logo, the above concept is my idea. Just a very rough, colorless sketch. The idea is that every letter gets a different texture just like the different tilesets that users can use in the editor. The current logo just looks way to childish, mainly due to the clouds and we really need to change that. If you have ideas or feedback please let us know! It'd really help us out. Let us know what you think of Tuludo, we're getting back to work and are hoping to add some more important features this week. I should have a lot more time this week so I'm hoping to further flesh out the action reaction system and add some movement to game objects to create moving platformers and what not. See ya next week! Due to family and the extremely hot weather I haven't been able to add a lot of new features. But work will definitely continue! In order to create things like enemies and moving platforms object need to have the ability to move around on their own. This will be the next feature. It'll work extremely simply, just choose where you want the object to go, whether this is a relative or absolute position. Very simple, and extremely powerful. There will be a demo at the end of next week! It'll be completely free, available to everyone, without registration. We hope that by doing so as much people as possible will be able to try out Tuludo which also gives us the chance to fix bugs and enhance the user experience in general. With the new logo and added a presskit and image slider as well. Hope you'll like this news, please make sure to follow us on social media or to subscribe to our newsletter if you'd like to be notified when the demo goes online! That's it for today, thanks for reading everyone. Let us know what you think and have a nice day! Re: Tuludo [Online Game Creator] - Demo available next week! The demo is out right now! Check it out if you'd like to see what we've been doing this week! Please let us know what you think! Any feedback is welcome! Re: Tuludo [Online Game Creator] - Create games without coding! We're proud to announce that we've succesfully reached our minimal viable product. We've been a little silent lately, this was mainly due to use being busy with other things. But we're starting to find time again to work on this amazing project. Of course we'll keep on updating Tuludo.com with net content and features. The previous character (Bob) was a bit too hard to work with. His size didn't really match the square hitbox that everything has and besides that I'm not great at art personally and animating him would have been too much of a challenge. Bloopy is currently not animated, but he doesn't perse have to be. It looks alright that he isn't, which is nice because it saves quite a bit of bandwidth as well. Besides Bloopy we've created a few other characters to choose from as well. The original enemy has been re-envisioned in this way as well and it ties everything together quite nicely. 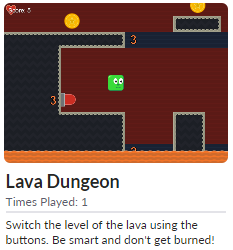 It's quite exciting to see games pop up made by your community. Those people really care about Tuludo, and they like spending time in the game creator which is simply awesome. 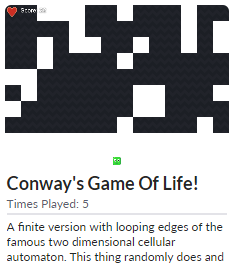 At the time of writing this there are 15 games made by our community. Double that amount if you want to count unreleased games! The core community that we have right now is great, but we can't wait to see more people from outside this community pop up as well! Not much to comment on this really. The game creator is something you'd have to experience for yourself. Most of the development was spend on the game creator and we keep on improving it to make it more user friendly. One of the most important new features is the very very welcome undo and redo feature (In the top left on the image). It was quite interesting and fun to implement a command pattern (Huge thanks to Game Programming Patterns!). We did have to figure out what you can undo and what not. It would simply be a bit too much if we'd allow undoing every single property. Especially when you start thinking about the fact that those properties are not always visible in every single view. And undoing things without visible results can be confusing. Please make sure to check it out over at https://tuludo.com!